Let’s be real guys. Sometimes a sandwich just won’t cut it for lunch. Sometimes you need something lighter, healthier, but also filling. Enter: farro. It’s protein rich and the perfect companion for vegetables. Buckle up, kids. It’s stupid easy side dish time. Rice is nice, but it does get a little boring after awhile. Recently I’ve been reaching more for the farro. 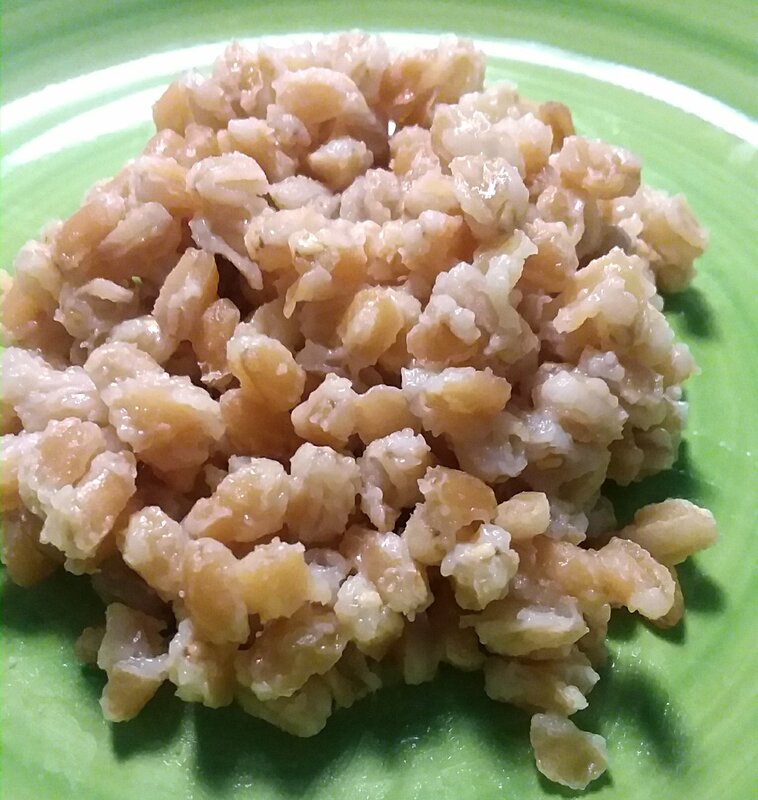 It’s got a nice nutty flavor and more of a bite to it, like brown rice but better. And better for you! Farro has about 3 grams more of protein and fiber than brown rice. Fun fact: I learned that just now. I was just eating it because it tasted good. Oh, in case you were wondering, a “farrisotto” is just a bunch of farro cooked like a risotto. I saw the word kicking around the internet and I thought it was pretty clever. Here is my simple (a word which here means easy) take on it.